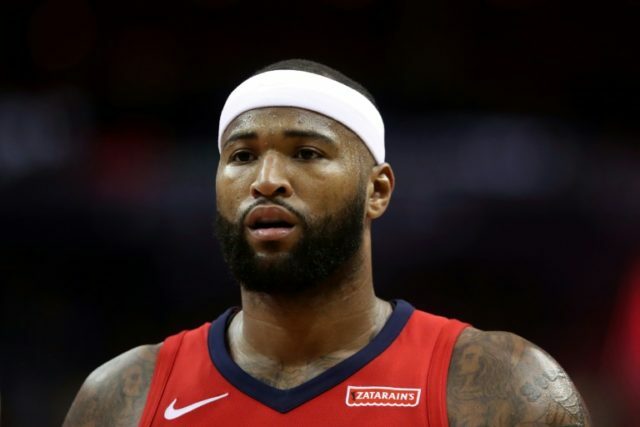 New Orleans (AFP) – DeMarcus Cousins had a triple double in New Orleans’ 132-128 double overtime win over Chicago, becoming the first player since Kareem Abdul-Jabbar to have 40 points, 20 rebounds and 10 assists in a game. Cousins finished with 44 points, 24 rebounds and 10 assists as he combined with Anthony Davis, who scored 34, to spark a Pelicans’ comeback in regulation before they pulled off the marathon victory against the Bulls on Monday. Cousins scored seven points in the second overtime on a three-pointer, a turnaround jumper and two free throws with eight seconds left in front of a crowd of 17,100 at Smoothie King Center arena. He became the first NBA player since Hall of Famer Abdul-Jabbar in 1972 to achieve the feat. The others who have done it are Wilt Chamberlain (six times), Oscar Robertson and Elgin Baylor. All four players are in the hall of fame. Chamberlain had one of the greatest games in history when he scored 51 points, 29 rebounds and 11 assists against Detroit in February 1963. “I’m just glad we won,” Cousins said. “It wouldn’t have really meant (much) if I didn’t get a win. Cousins said he was physically drained after playing a career high 52 minutes. “My strength coach had the nerve to ask me if I wanted to lift after this game. I almost lost it. If I had some energy, we would’ve fought,” he said smiling. E’Twaun Moore scored 15 points, including a three in the second overtime, to help the Pelicans win for the fifth time in six games. Jrue Holiday finished with 12 points and Miller had 10 for New Orleans. Jerian Grant had 22 points and 13 assists, and Robin Lopez also scored 22 for the Bulls. Zach LaVine finished with 19 points, Justin Holiday 15 and Nikola Mirotic 14 for Chicago, who at one stage appeared on their way to their fifth win in six games with a big lead early in the fourth. The Bulls opened the quarter with a 23-5 run to take their largest lead at 104-86.